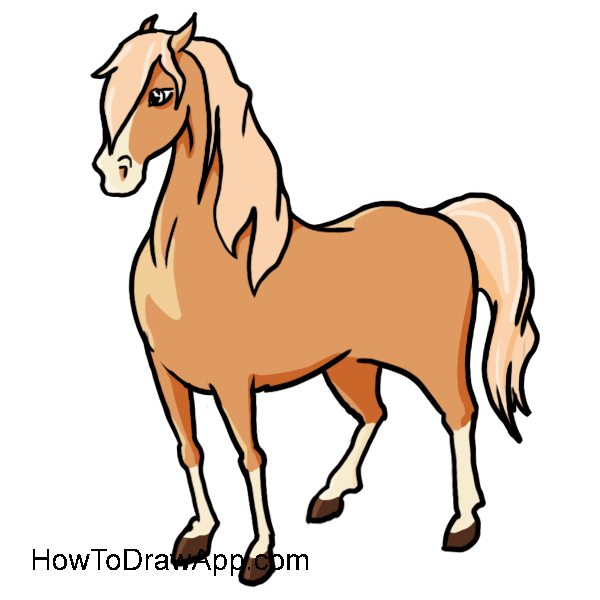 Learn how to draw a horse step-by-step. Imagine a standing horse and mark its borders. Mark a body with a circle and unfinished oval. Trace legs and a tail. 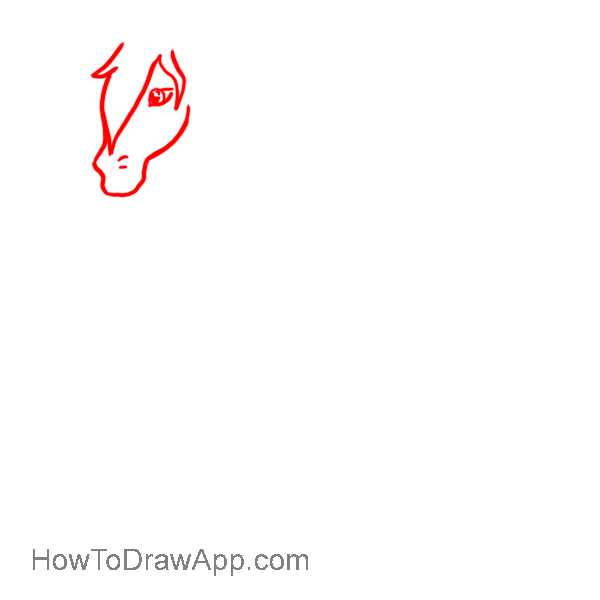 Mark the horse’s head with a curved line as a question-mark. Outline the shape of the muzzle, draw an eye in the upper part and the front mane. 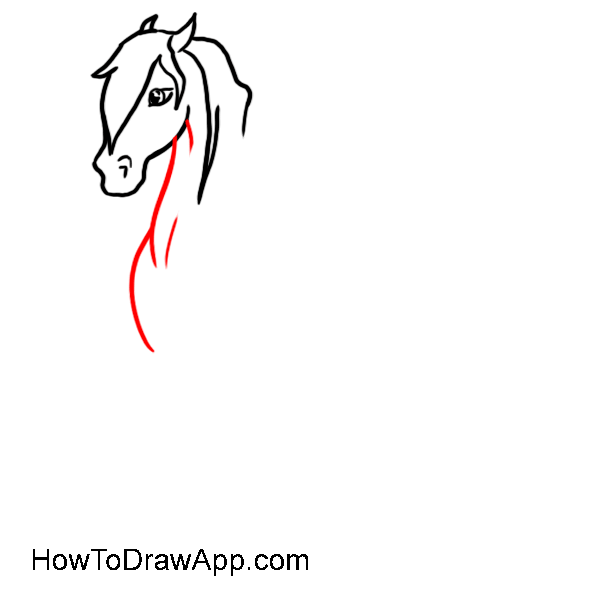 Draw the bending of the neck and mane of the horse. Draw two sharp ears. Draw a convex line of the chest. 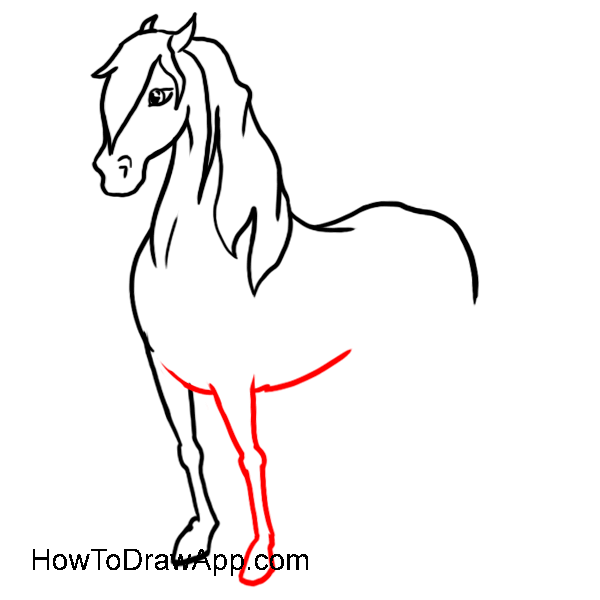 Add smaller lines to show the muscles. 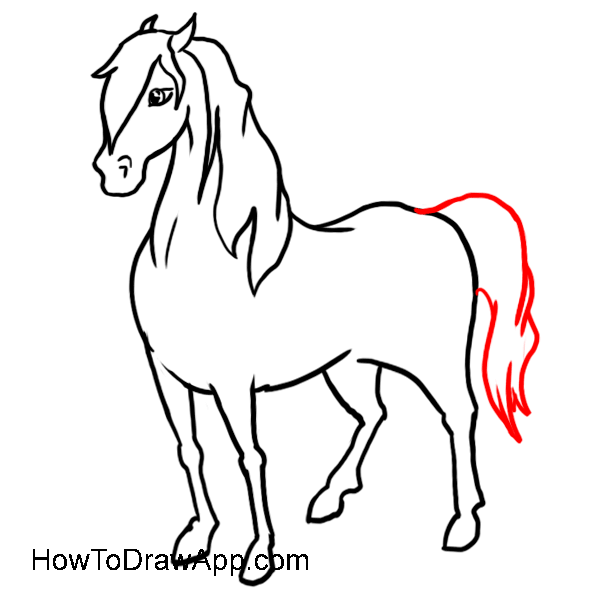 Finish the mane of the horse and continue it with the back line. 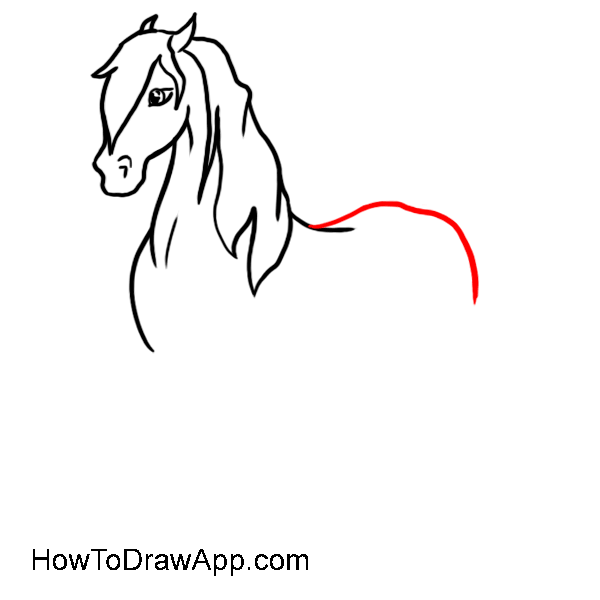 Draw a line of a croup like a semi-circle. The line also curves inward a bit. 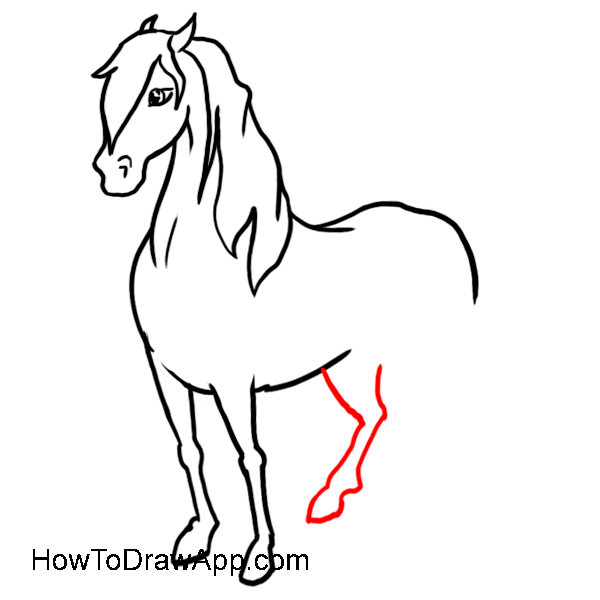 Draw the front foreleg, make detailed lines for the hooves and knees. 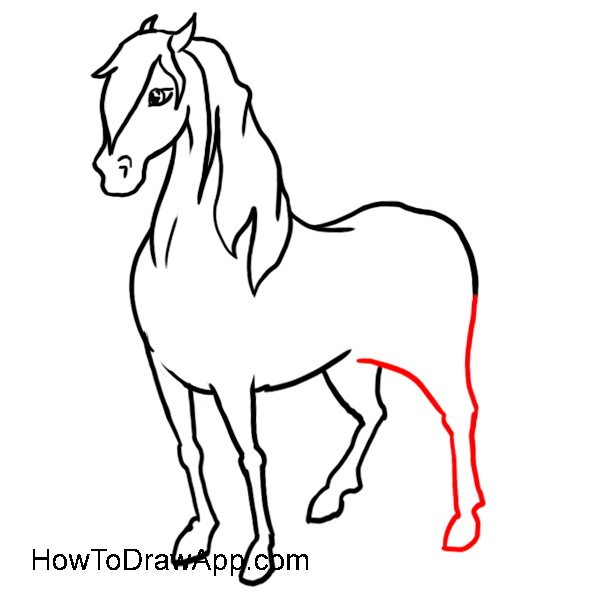 Draw the second foreleg and a line of the belly curving up. 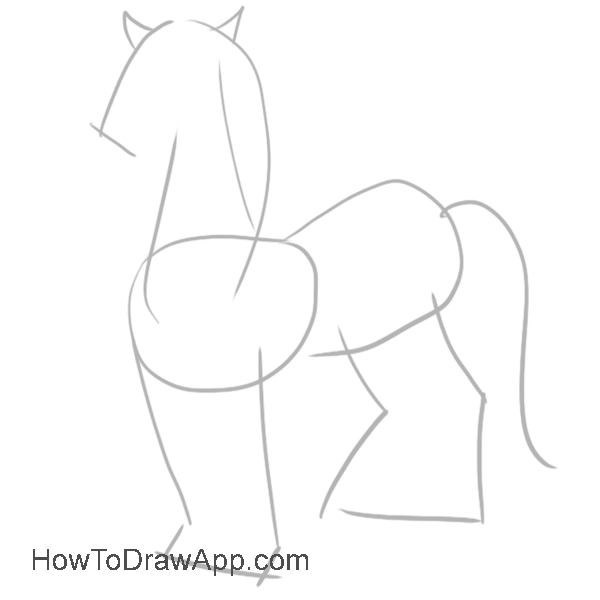 Draw the hind lef of the horse. Mark thick hanging tail, finish with a toothed line at the end. 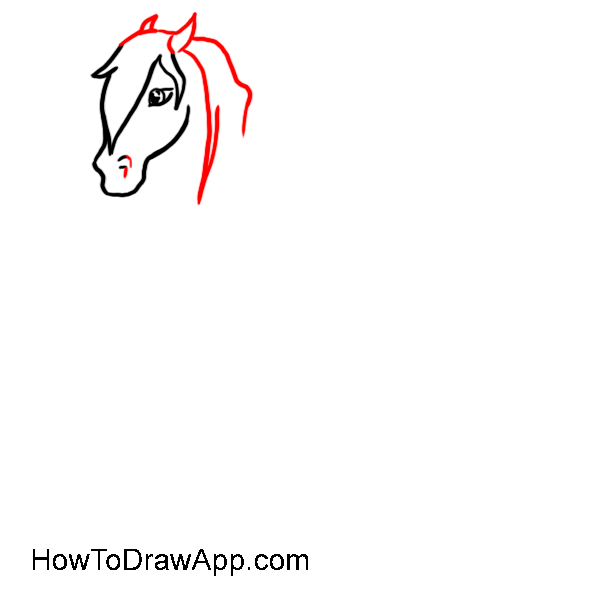 Delete all basic shapes and auxiliary lines, and the horse is ready.